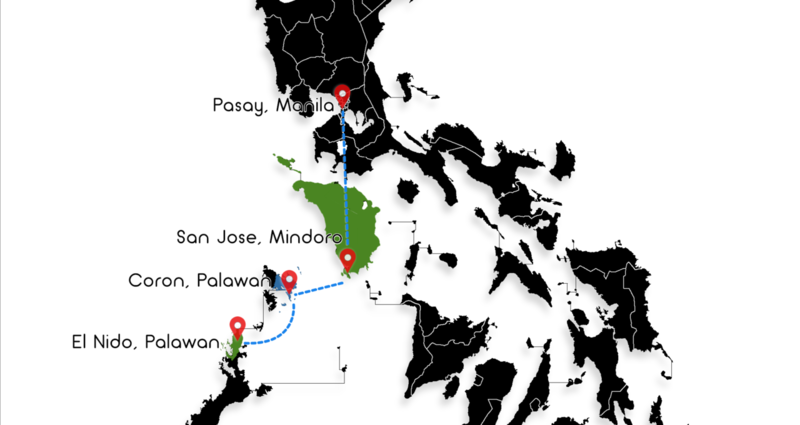 Then try this DIY travel from Manila going to Palawan (Crossing from Coron to El Nido) via bus and boat rides? Partas: Pasay, Manila to San Jose, Mindoro Terminal via Abra de Ilog (via Land & Fastcraft). Fare: ₱ 1,100 pesos only from Pasay Terminal of Partas. Fare: ₱ 1,100 pesos only from San Jose Port. So many places to visit in Coron, Palawan such Lake Kayangan, Barracuda Lake, Shipwreck Beach, Siete Pecados, the Hidden Lagoon at Twin Lagoon. Click here to see the beautiful places in Coron, Palawan: What to Visit in Coron, Palawan? Fare: ₱ 1,760 pesos only from Coron Port. So many places to visit in El Nido, Palawan such as Snake Island, Big Lagoon, Hidden beach, Matinloc Island, Entalula Island, Helicopter Island, Seven Commando Beach, and more. Click here to see the beautiful places in Coron, Palawan: What to Visit in El Nido, Palawan?